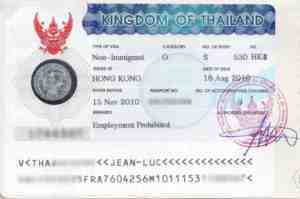 Now that several foreign embassies have ended their service of providing letters supporting visa applicants income cliams, Thai Immigration has outlined replacement rules for evidencing ncome. Tax receipts of the supporting relative presumably thos issues by the Thai tax authorities. Evidence of a pension. Letter of certification from a Thai bank supported by bank statements showing a pension being transferred to the pensioner's bank account every month for at least 12 months. Exceptions are allowed for those who have been retired for less than one year.